HustleBoss.com speaks with welterweight veteran Lanardo Tyner (31-11-2, 20 KO’s), seen here with LaDarius ‘Memphis’ Miller (3-0, 1 KO), about his recent loss to Antonio DeMarco down in Mexico. 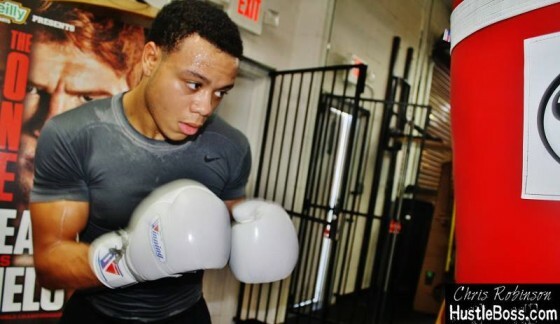 Ever since crossing paths with Kevin Newman II inside of the Richard Steele Boxing Club five years ago, we’ve kept close tabs with the former standout amateur prospect. The ride has been a rewarding one, from seeing Kevin transition over the Johnny Tocco’s and later the Mayweather Boxing Club, all the while gaining invaluable experience learning from the Mayweather clan while testing himself sparring against a bevy of fellow prospects, contenders, and champions. 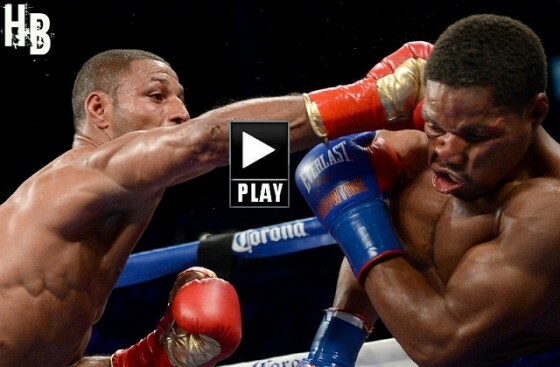 Newman is actually embarking on a completely different journey, as he is set to make his professional debut on Sept. 13 on the Floyd Mayweather vs. Marcos Maidana II undercard at the MGM Grand. Newman also inked an exclusive deal with Mayweather Promotions, so expect to be seeing a lot of him in the coming months and years. 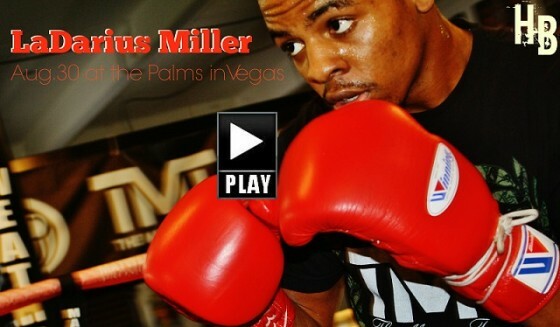 Coverage from the Palms Resort in Las Vegas, Nevada as fighters from the Mayweather Promotions banner weigh in ahead of their scheduled bouts on Showtime, including super middleweights J’Leon Love, Ronald Gavril, and Badou Jack, as well as other team members. More exclusive updates from the Mayweather Boxing Club in Las Vegas, Nevada as Floyd Mayweather continues to push hard for his Sept. 13 rematch with Marcos Maidana. 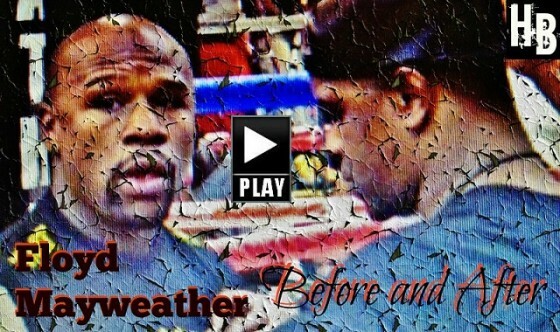 In this video, Floyd implores his Uncle and co-trainer Roger Mayweather to keep pushing hard as their mitt work session heats up. 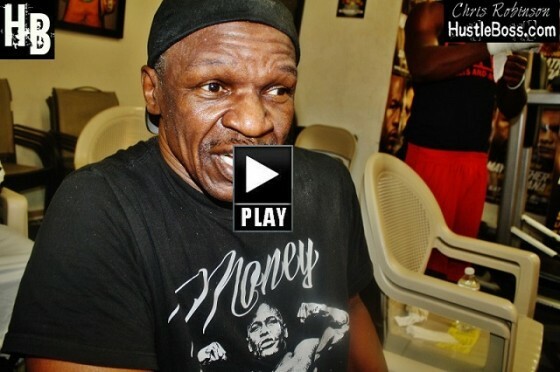 HustleBoss.com’s Chris Robinson and world renown trainer Floyd Mayweather Sr. speak, as Senior discusses a possible retiretment from the sport and much more. 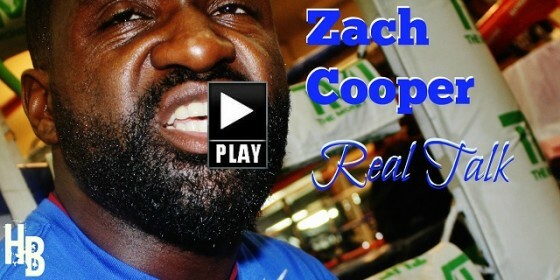 More talk from junior middleweight prospect Zach Cooper (https://twitter.com/IHATEZACHCOOPER) about various fighters from the Mayweather Promotions banner who are fighting on Aug. 30 at the Palms, including J’Leon Love, Badou Jack, Ronald Gavril, Lanell Bellows, and others. Cooper also speaks on Floyd Mayweather’s focus heading into his Sept. 13 rematch with Marcos Maidana. 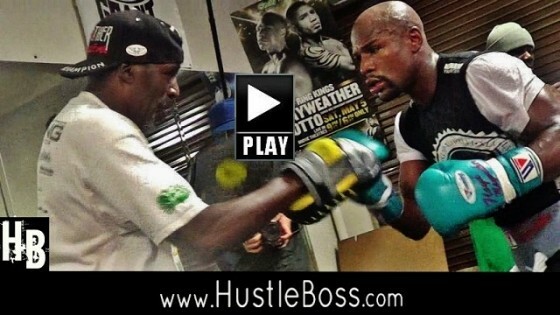 HustleBoss.com takes viewers behind the scenes inside of the Mayweather Boxing Club as he Floyd Mayweather continues to push for his Sept. 13 rematch with Marcos Maidana. Check out this footage shot on Monday, Aug. 25, as we showcase the entire gym before and after Mayweather’s sparring, including his sparring mates Bastie Samir, Will Clemons, Ramon Montano, Juan Pablo Montes de Oca, and DonYil Livingston, and several other faces. 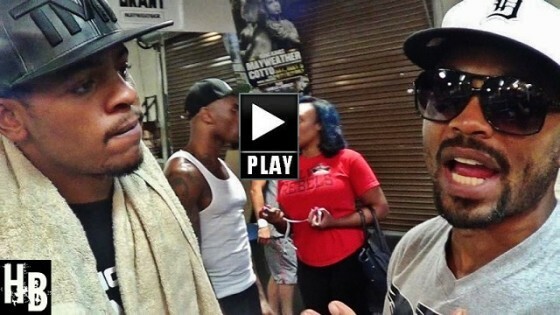 HustleBoss.com steps inside of the Mayweather Boxing Club with British star Ashley Theophane, as he speaks on his Aug. 30 return inside of the Palms Resort in Las Vegas Nevada. 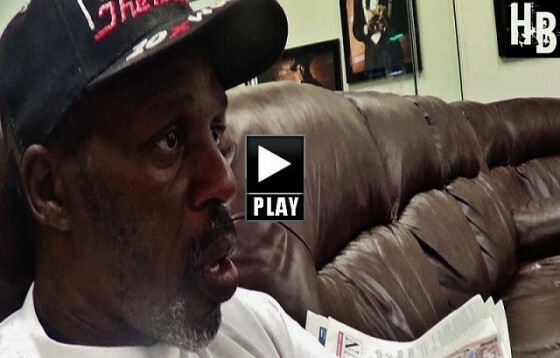 HustleBoss.com gives you an all-access look as middleweight prosppect Denis ‘Momma’s Boy’ Douglin continues to push in Las Vegas with trainer Floyd Mayweather Sr.
HustleBoss.com speaks with trainer Roger Mayweather about his two memorable fights vs. Julio Cesar Chavez and how his nephew would fair against the Mexican legend. 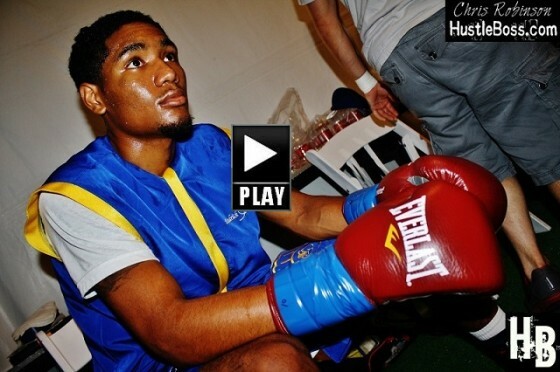 HustleBoss.com goes behind the scenes with bantamweight contender Alexis Santiago (17-3-1, 6 KO’s) inside of the Mayweather Boxing Club ahead of his scheduled Sept. 20 match in his hometown of Phoenix, AZ. 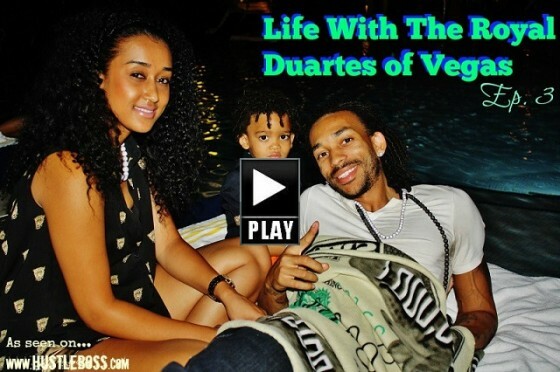 HustleBoss.com goes behind the scenes with Milwaukee’s Thomas Hill before, during, and after his professional debut inside of the Pechanga Resort in Temecula, Calif. 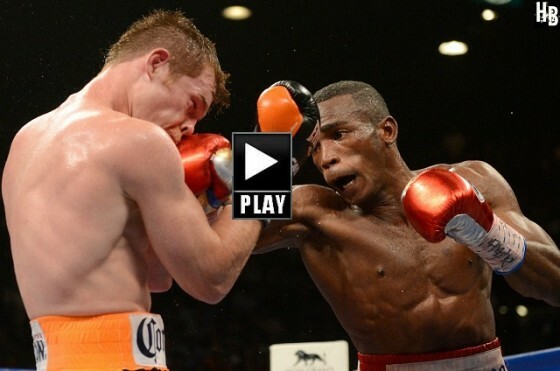 Check out the video of Hill backstage with his trainer Eddie Mustafa Muhammad and the team, as well as highlights from his match vs. Enrique Montes, plus a phone call afterwards from Floyd Mayweather. 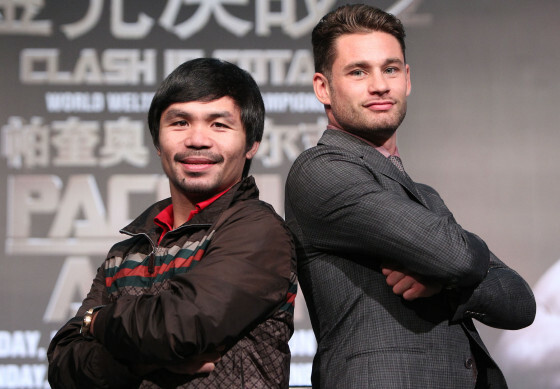 Eight-division world champion Manny Pacquiao (56-5-2, 38 KO’s) and WBO Jr. Welterweight champion Chris Algieri (20-0, 8 KO’s) meet inside of The Venetian Macao in Macau, China, on Monday to announce their upcoming World Welterweight title fight on HBO pay per view. The two men and their teams will embark on a 27,273-Mile media tour that will include stops in Shanghai, San Francisco, Las Vegas, Los Angeles, and New York. Exclusive photos from the Pechanga Resort in Temecula, Calif. as Milwaukee’s Thomas Hill scores a sucessful pro debut following his unanimous decision victory over Enrique Montes. 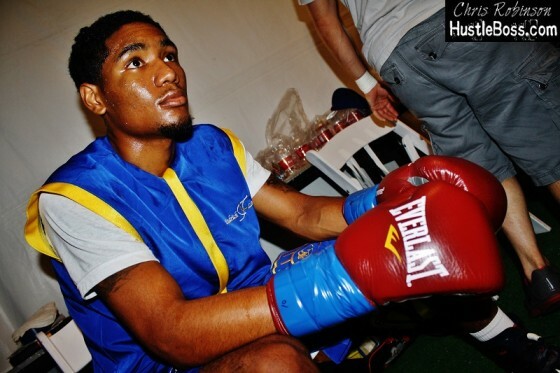 Hill is a fixture at the Mayweather Boxing Club and recently inked an exclusive pact with powerful advisor Al Haymon.